Lee University will welcome the Schumann String Quartet to Pangle Hall in continuation of the Presidential Concert Series on Monday, Feb. 4, at 7:30 p.m. 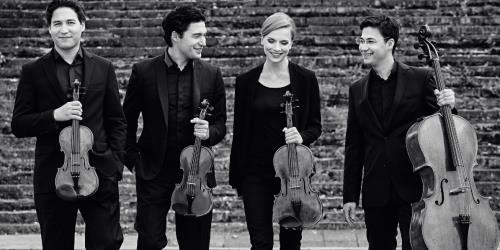 The Schumann Quartett has been touring European countries such as Austria, Italy, and Switzerland, as well as in South America and the United States. They also performed at Mozart Week in Salzburg and Mozartfest in Wurzburg. Tickets for the concert are $15 for adults and $5 for students and seniors and are available for purchase at the Lee University Box Office in the Dixon Center or by contacting 614-8343, one week prior to the event, between 3-6 p.m. Tickets are also available at https://www.showclix.com/event/Schumann-quartet.